Looks like September is going to be robo-arm month. 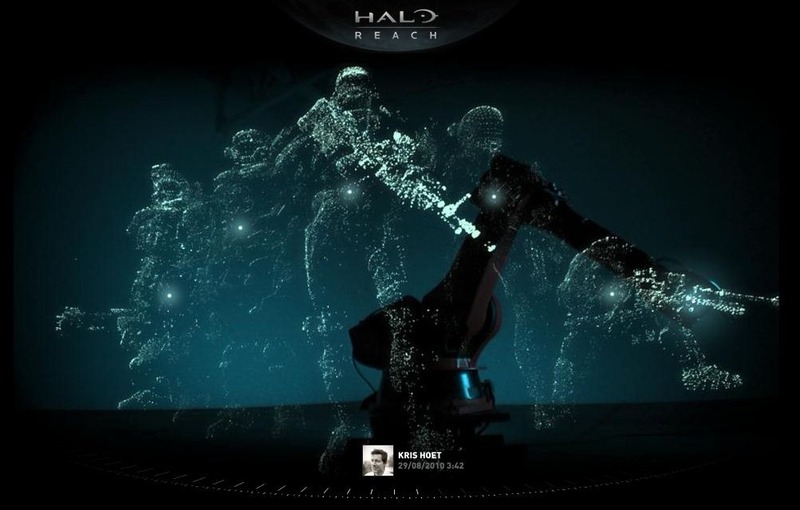 Microsoft is doing something cool with robots on RememberReach.com for the launch of Halo Reach (September 14th) featuring a user-generated light sculpture of Reach’s Noble Team. Curious to see what the final sculpture will look like. In the meantime Coolhunting tells us Audi and Kram/Weisshaar (design firm) are preparing Outrace, an installation that will take over Trafalgar Square from 17 September through 23 September as part of the London Design Festival. This installation uses eight industrial robots from Audi’s production line to deliver messages sent from people around the world as 3D lighting graphics.